Posted in: Daily Posts. 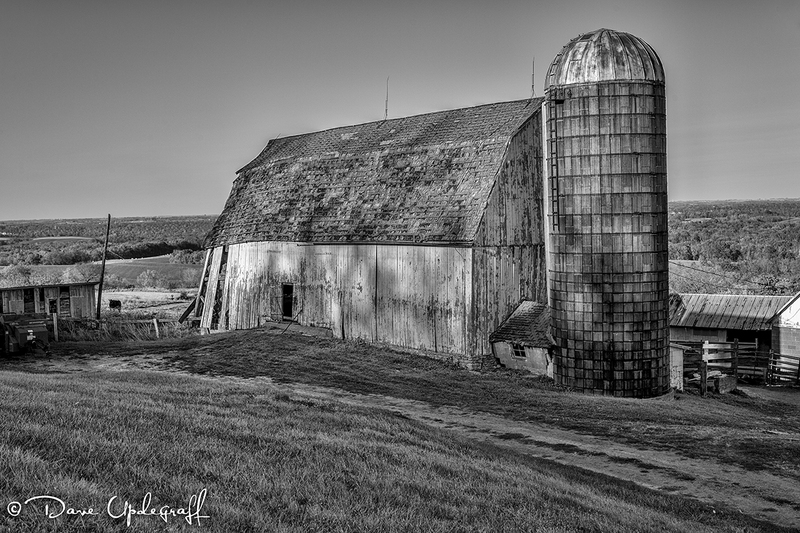 Tagged: landscape photography, Old Farm Structures, Photography. The light was soft and warm last night on my homeward commute. 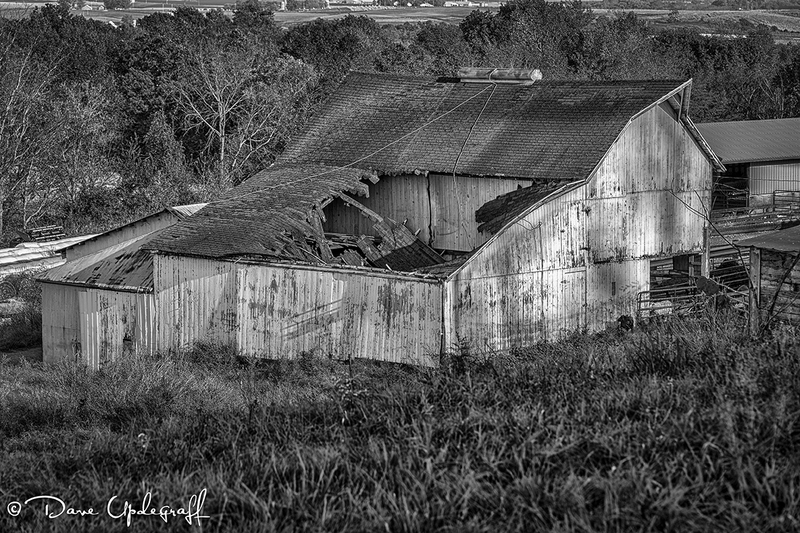 I go by this old silo and collapsed building every night but last night with the sun bathing it in that gorgeous light I had to turn around and make the image. The second image I have for you was taken about 20 minutes later. 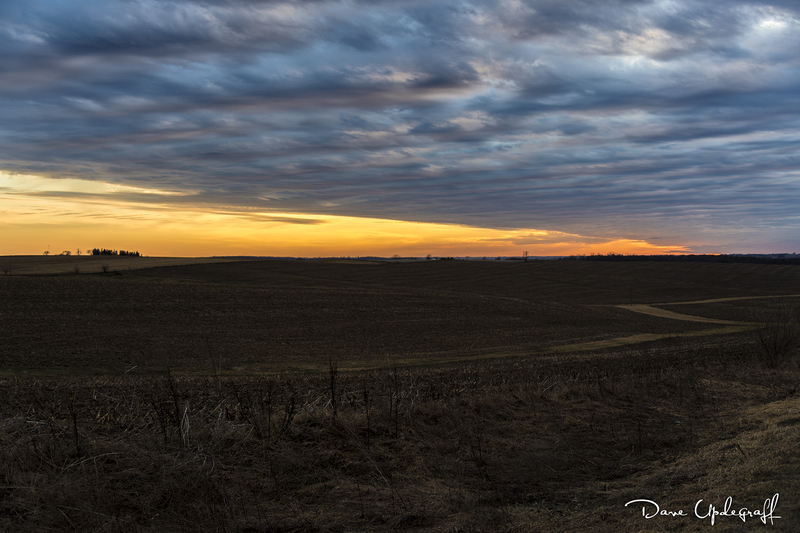 I was hoping for a nice sunset shot but the clouds over took the sun. That’s it for today. Colder weather is back in our area and even predicting some snow by the late weekend. Posted in: Daily Posts. 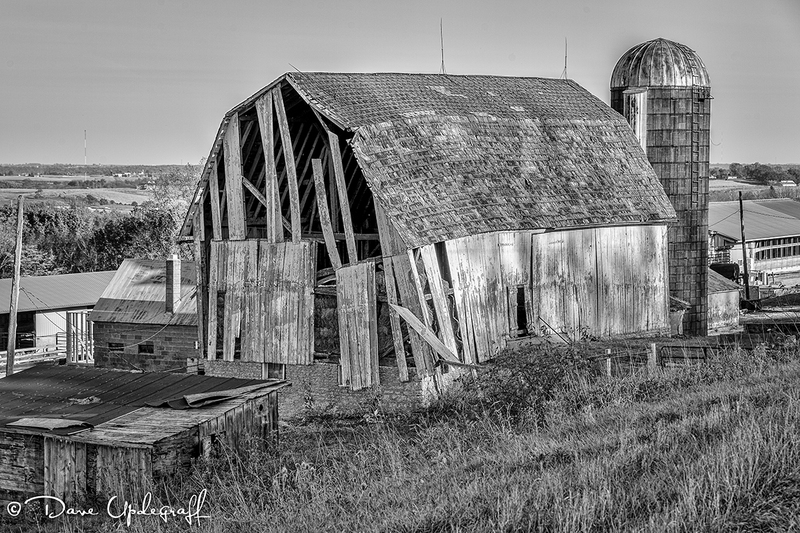 Tagged: Black and White Photography, Old Farm Buildings, Old Farm Structures, Photography. Tough weekend for Jeanne. She woke up Saturday morning with a very sore and swollen eye. Finally went to the doctor and he gave her some eye drops and told her keep warm compresses on her eye. She was also not allowed to be around the grand kids this weekend because of the danger of giving it to them. So she stayed pretty close to the house the entire weekend. 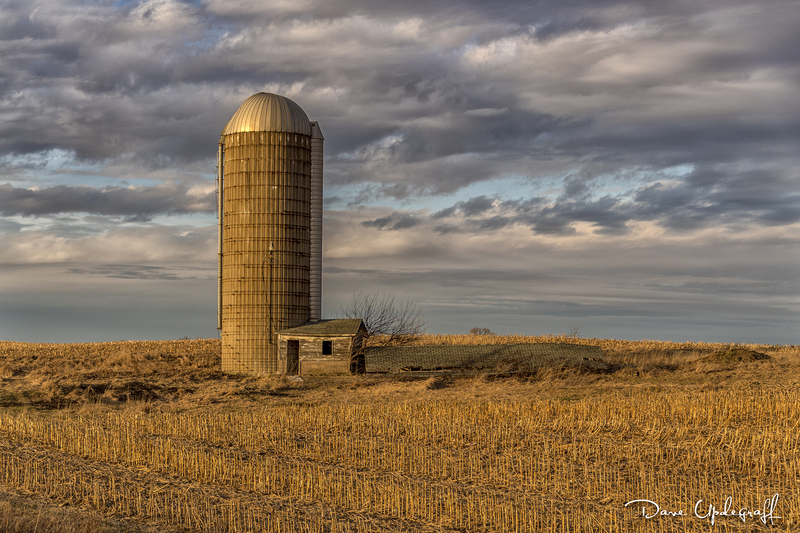 Yesterday afternoon I went looking for some more harvest scenes. 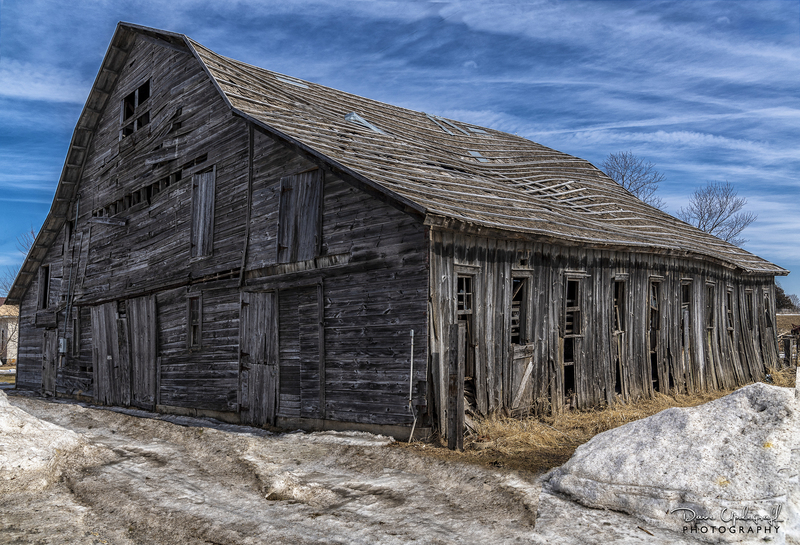 I only found one that was worthy of photographing but came across this old barn in a sad state of repair. The adjacent building was also falling down. I thought “black and white” when I was photographing it. So a short post for today. Nothing special on my mind. All photos were taken with the Nikon D4 fitted with the Nikon 28 – 300 mm lens. Probably my favorite lens because of the wide flexibility I get with it. It is also a very sharp lens. I do have a wide-angle lens but the fact is with the 28 – 300 I rarely find a use for the wide-angle.